Pyongyang will not hesitate to strike South Korea if Washington launches an attack on its territory, a former North Korean diplomat and defector from the state’s regime has warned. While the US has not ruled out a military option against North Korea amid heightened tensions in the peninsula, one of the highest-ranking North Korean defectors, Thae Yong-ho, has said that a military scenario would prompt Pyongyang to direct its fire at its southern neighbors. “North Korean officers are trained to press the button without any further instructions from the general command if anything happens on their side,” Thae Yong-ho told a hearing of the House Foreign Affairs Committee entitled “An Insider’s Look at the North Korean Regime” on Wednesday. 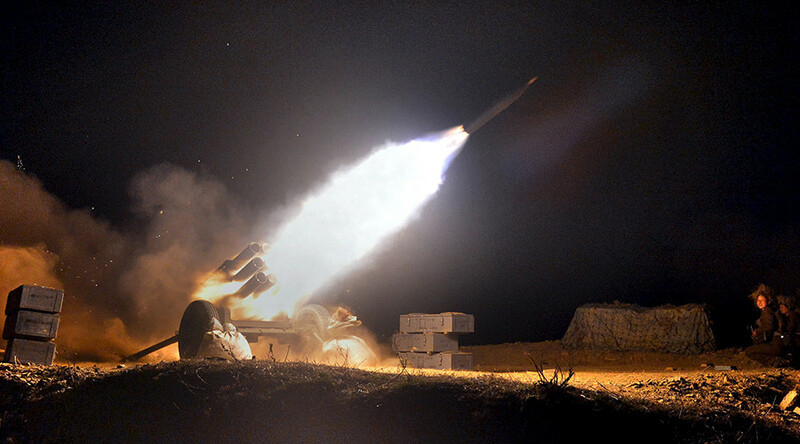 "If there is any sound of fire or bomb or strike from Americans, the military artilleries and short-range missiles will fire against South Korea," Thae added. Thousands of short-range missiles deployed at the demarcation line are ready to fire “at any moment,” the former diplomat said. There are tens of millions of South Koreans living within 70km to 80km of this area, who could have become a “human sacrifice,” according to Thae. “I strongly believe that if there is any preventive or surgical strike of whatever, war will be won by America and South Korea, there is no doubt about it, but we have to see the human sacrifice from this military option,” the defector said. Meanwhile, South Korean intelligence suggests the North is preparing new missile nuclear tests as it is pursuing “the development of miniaturized, diversified nuclear warheads,” Yonhap reports. The South’s spy agency reportedly detected “active movement” of vehicles around the missile research facility in Pyongyang, it said. Earlier, NATO chief Jens Stoltenberg said a worldwide response is necessary in order to deal with North Korea's development of long-range missiles. He was speaking at a meeting with South Korean Foreign Minister Kang Kyung-wha in Seoul on Wednesday, when he said that "global threats require global responses." Meanwhile, North Korea maintains that the US bolstering its presence off the Korean peninsula and staging war games with their regional allies constitutes preparation for a pre-emptive strike, which could escalate into a possible nuclear war. 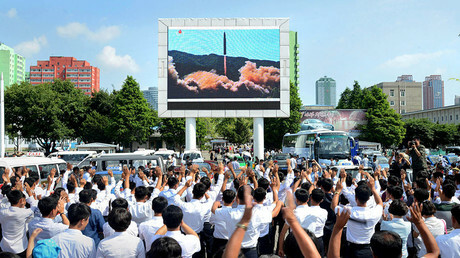 “The joint-military exercises conducted by the US one after another all the year round on the Korean peninsula are clearly aggressive war exercises in their nature and scale,” North Korea's Permanent Representative to the United Nations, Ja Song-nam, said in Pyongyang’s most recent letter addressed to France's UN Ambassador Francois Delattre, the current president of the UN Security Council. Despite repeated appeals to avoid escalating tensions, the US continues to increase its military build-up in the region. As tensions rise, Moscow and Beijing have repeatedly urged both parties to remain calm. 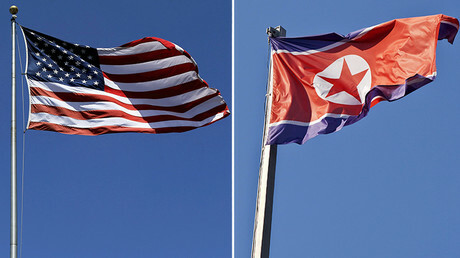 They have called for the implementation of the so-called “double-freeze” initiative, which envisages North Korea suspending its nuclear and missile program in exchange for the US and South Korea abandoning military exercises in the region. The proposal has been rejected by Washington.